According to custom tuning and tailoring of any products alligator. Male and female models of any products alligator. Bags, briefcases, purses, diplomats, purses, wallets, purses, belts, cell phone cases, cases for tablets, spectacle cases, watchbands, business card, credit card, passport covers, covers for auto documents, bindings for books, boxes, phones, smartphones, tablets, laptops, flash drives, trinkets, clothing, gloves, jackets, pants, shoes, caps, furniture, sofas, chairs, tables, railings, frames, moldings, pillows, carpets, furnishings, decorations , rings, bracelets, pendants, sticks, whips, gifts, prizes, awards, souvenirs and accessories made of genuine alligator leather. Any product can be combined with gold, silver, wood, diamonds and other types of crocodile, caiman, ostrich, python, viper, iguanas, monitor lizard, cobra, anacondas, stingray, calf, bison, buffalo, elephant, hippo, sea eel, sea snakes, frog, toad, fish, deer and others. Unique VIP handmade accessories of all shapes and sizes of the most exclusive, rare and expensive materials from MJ. 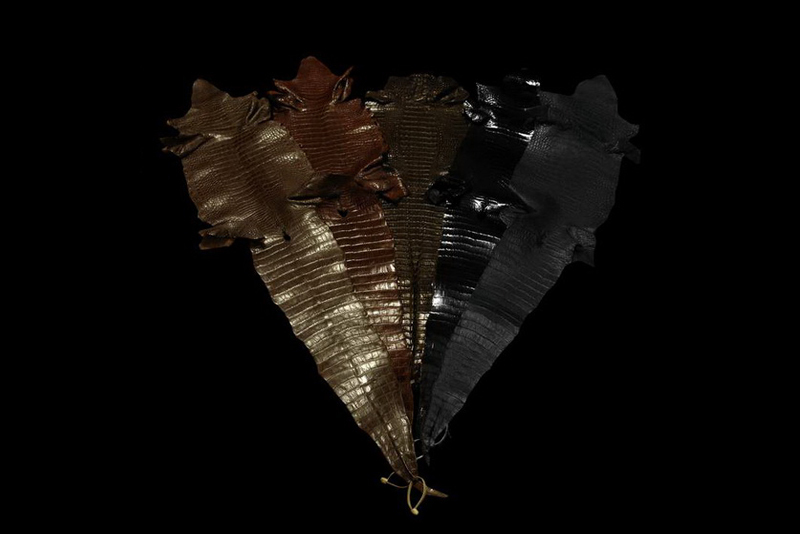 In the art studio MJ represented a huge range of different colors and subspecies alligator leather. 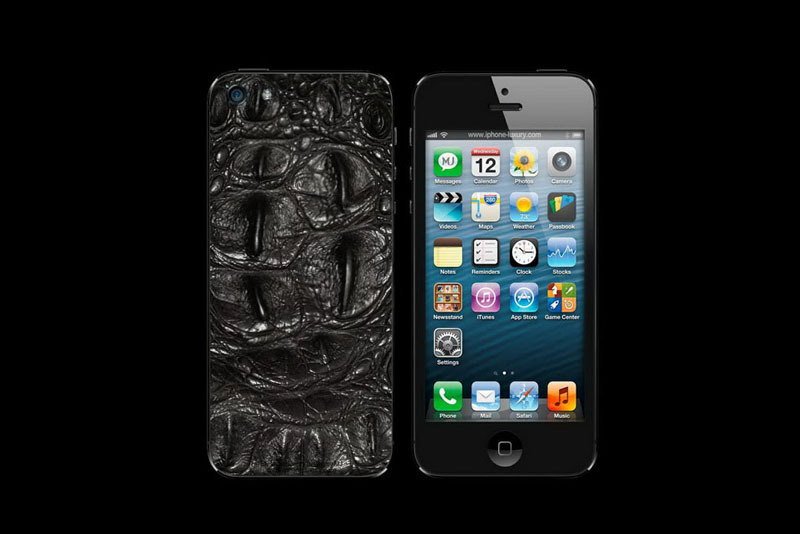 Exclusive iPhone in alligator skin with natural spikes Hornbeck Louisiana black. 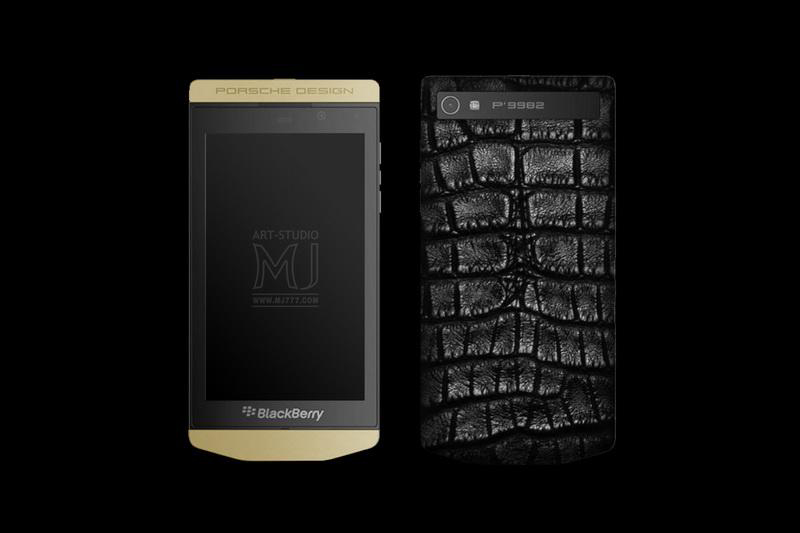 Customization for individual orders of any phone models and cases of genuine alligator leather any color. 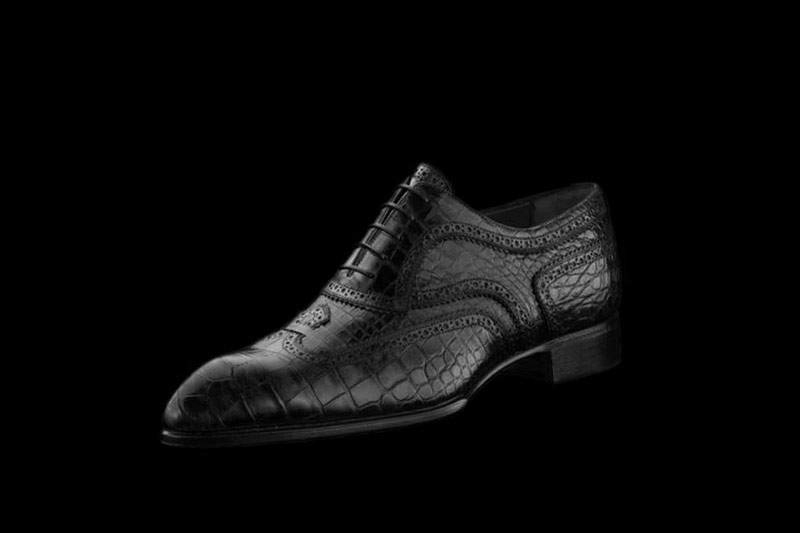 Luxury shoes made of genuine alligator, crocodile, caiman, gharial and other exotic or matte lacquer dressing .. 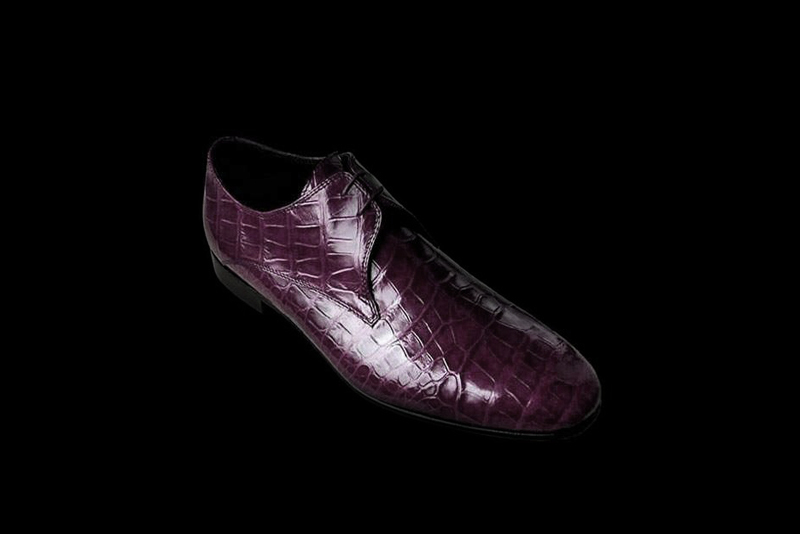 In individual orders for men and women models alligator shoes and any other exotic colors. Handy with any number of departments and sections. Any color alligator. 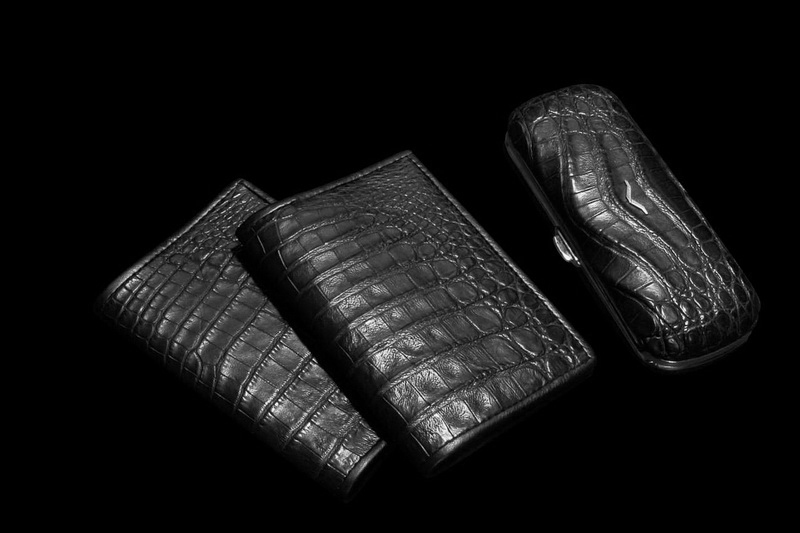 Individual vertical or horizontal cut alligator leather with a unique natural pattern. 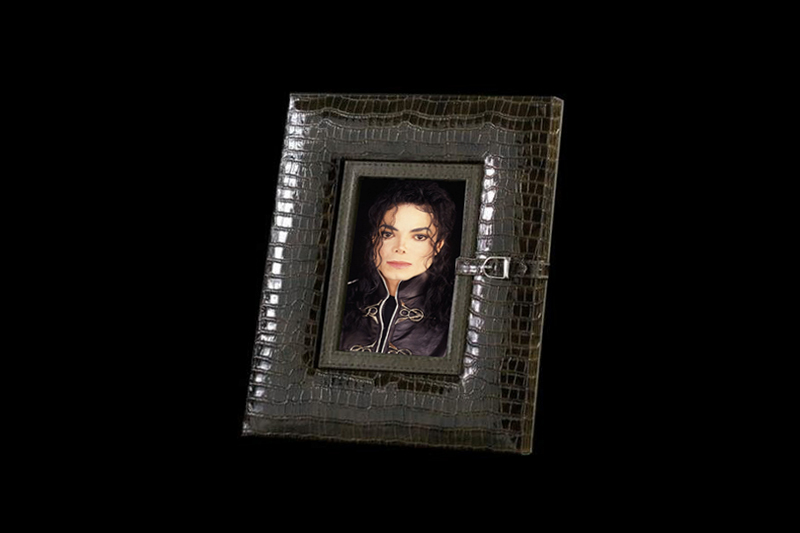 Only handmade and exotic materials from the premium Art Studio MJ - a luxury for the elite. 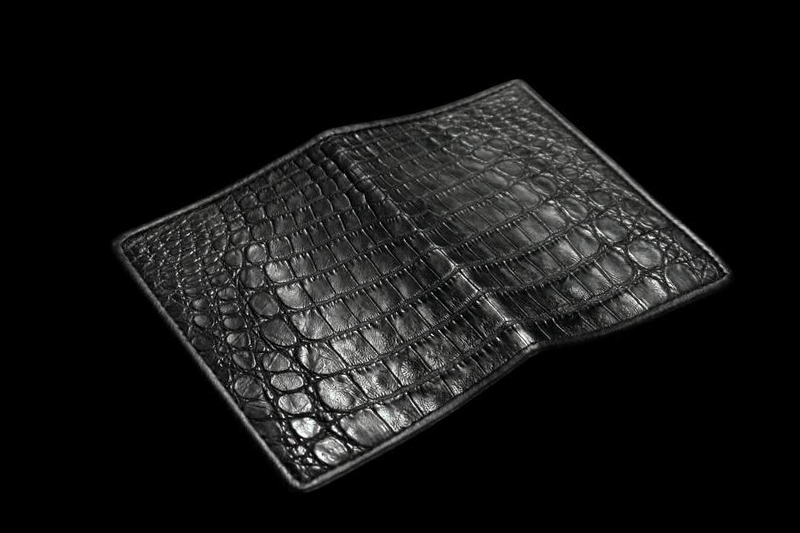 Exclusive cover of the passport of genuine alligator leather handmade. In individual orders covers for documents alligator, crocodile, caiman, and any other exotic colors. Copyright bags of any style and design. Any colors and types of tanning alligator and crocodile. 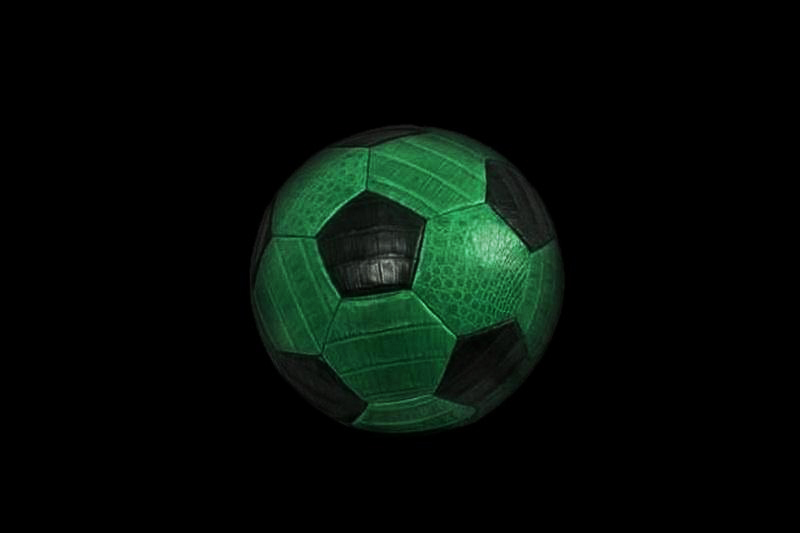 Reptile skin glossy, lacquer, matt, semi-matt, suede, metallic, perforated, and any other. Bags and Accessories individual production of MJ - a VIP gift! Guarantees exclusivity and luxury. 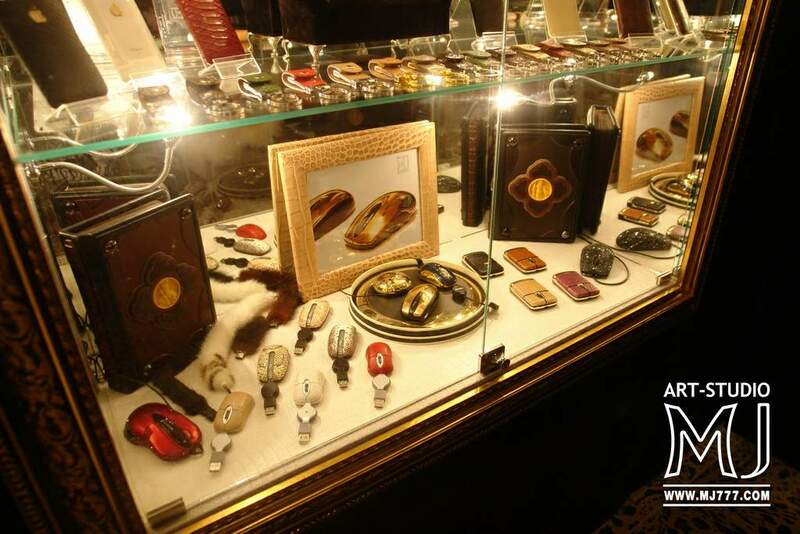 The royal collections of exclusive equipment and accessories alligator, crocodile, caiman and other reptiles. 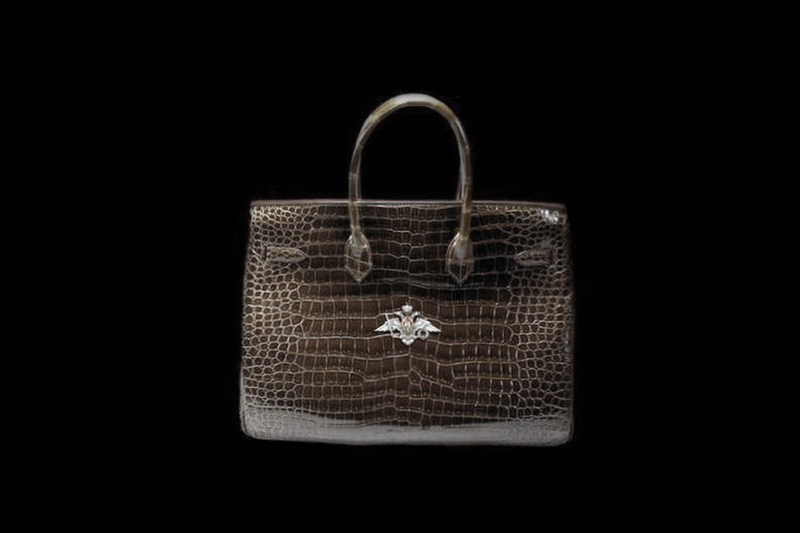 In individual orders any color alligator leather with accessories and decorative elements made of gold or platinum. Unique sets of customized laptop, mouse, flash, portfolio, phones, tablets, tags and other accessories. 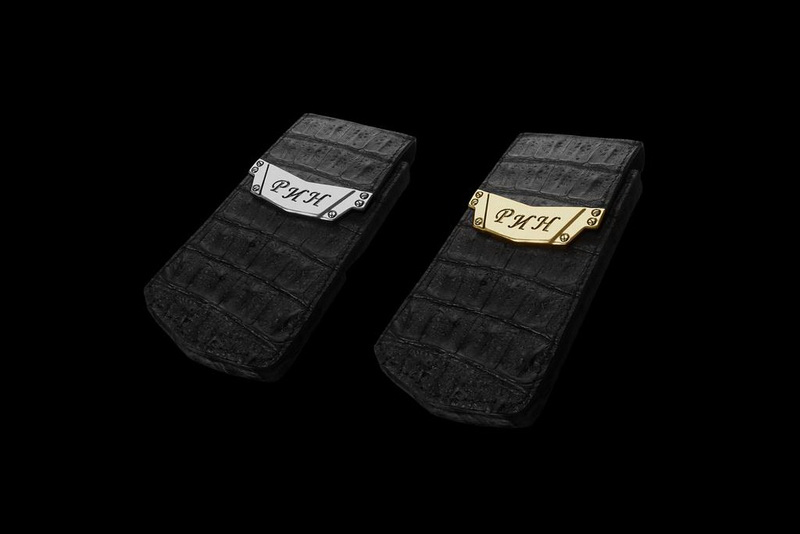 Unique edition Vertu phone in the skin alligator with an umbilical scar - cobweb unique to this alligators .. 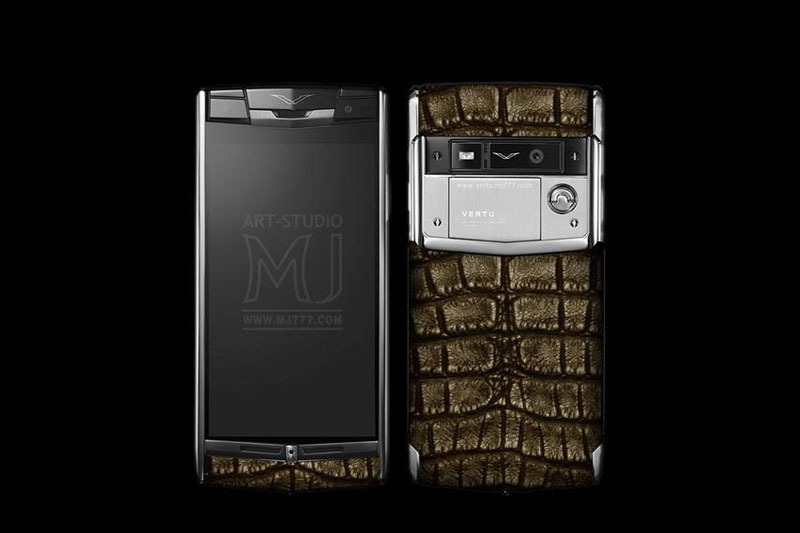 In individual orders any color alligator in combination with precious metals and precious stones ..
See also catalog tuned phone Vertu - www.vertu.mj777.com Tuning is carried out only on branded phones Vertu. 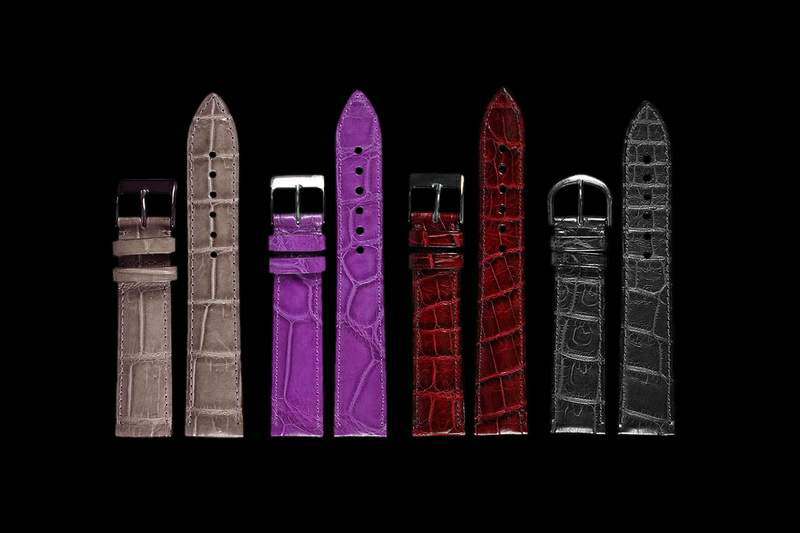 Exclusive watch straps made of genuine alligator and other reptiles of any color. In individual orders gold bracelets and leather straps for all models of watches and accessories. 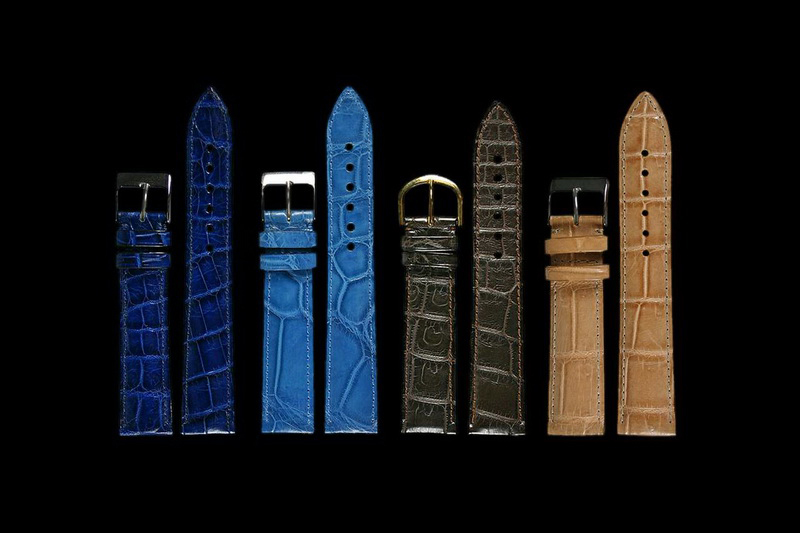 Luxury watchbands alligator, crocodile, caiman, and any other exotic colors. In individual orders straps watch all shapes and sizes for all models of exclusive watches. 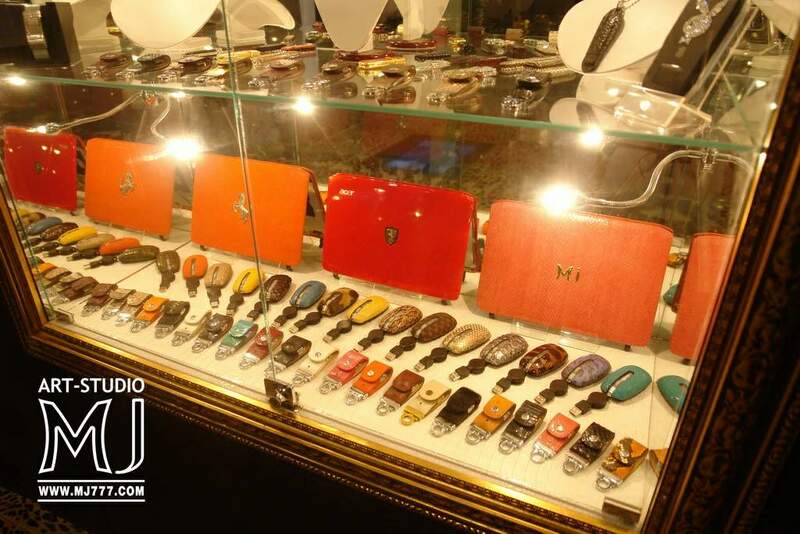 The watch accessories and jewelry buckle of yellow, white, pink, red and black gold, silver and platinum. In individual orders any color exotic leather in combination with any kind of precious metals. Tuning, repair and restyling all phones Tag Heuer. Polishing, gilding, replacement parts needed, replacement of the skin to the new. Exclusive stationery, office and desk accessories alligator handmade .. 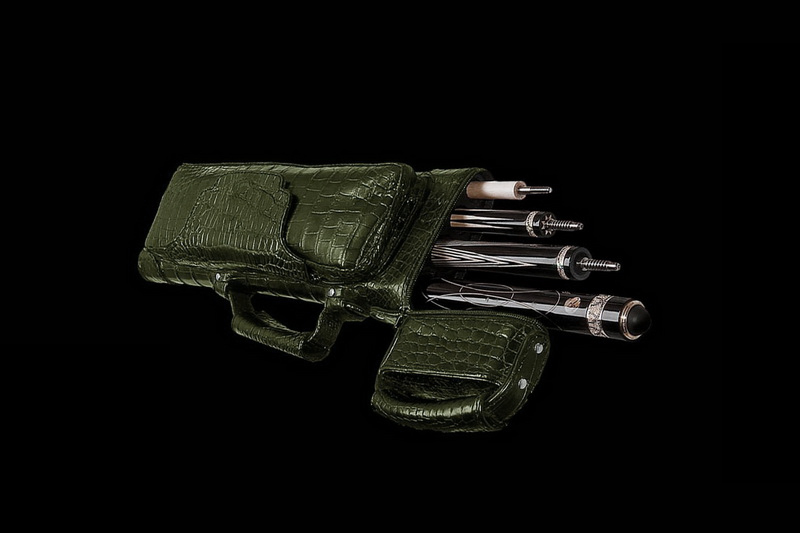 Platinum Pen in the skin alligator Case for alligator pen, calendar, diary, folder and other accessories alligator. According to individual orders and handle any business supplies alligator, crocodile, caiman, and any other exotic colors. 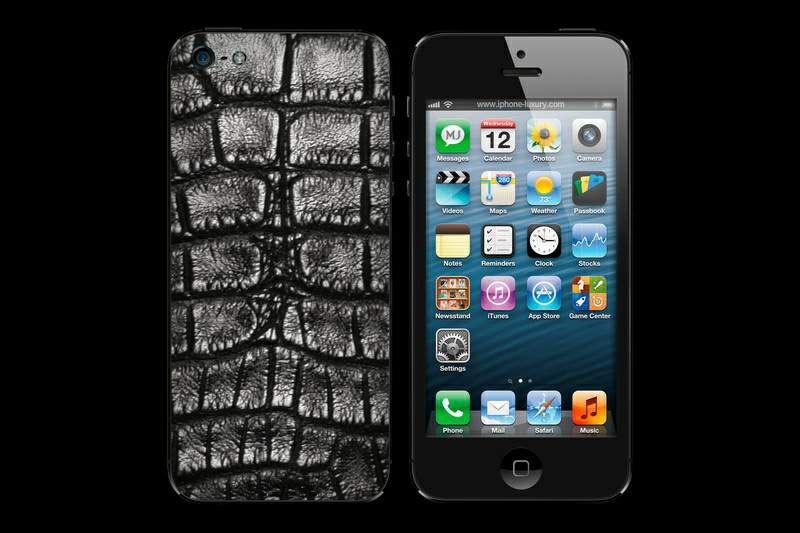 Exclusive Apple iPhone in alligator skin. Tuning phones and exclusive cases alligator with unique patterns. 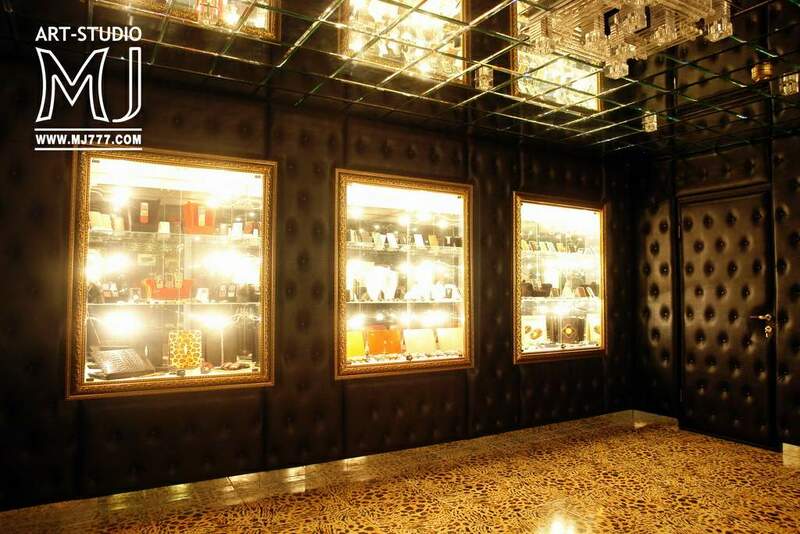 In individual orders any color exotic leather inlaid with platinum, gold, precious stones and diamonds. Exclusive VIP boxes, alligator, crocodile, caiman, and any other exotic colors. 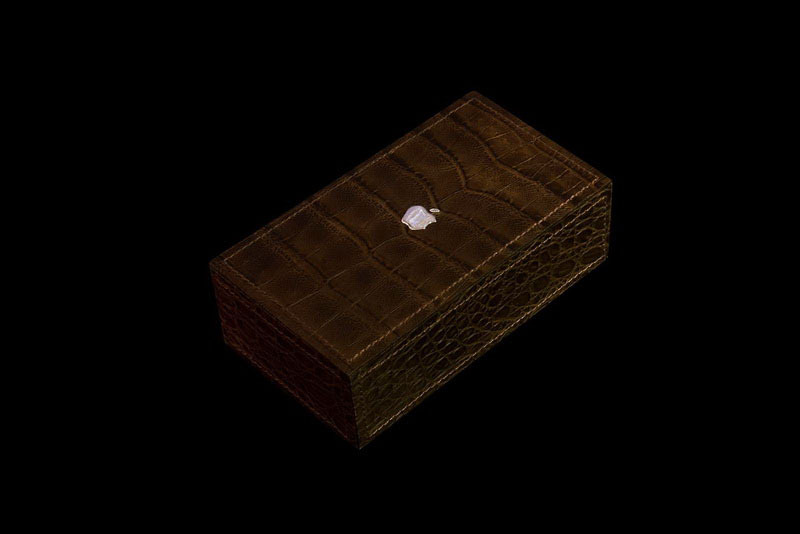 Luxury gift box for the Apple iPhone. Emblem and any other symbols of pink, white or yellow gold. In individual orders exclusive gift box and luxury boxes of all shapes and sizes. Passport cover handmade exotic leather and accessories made of gold and silver. 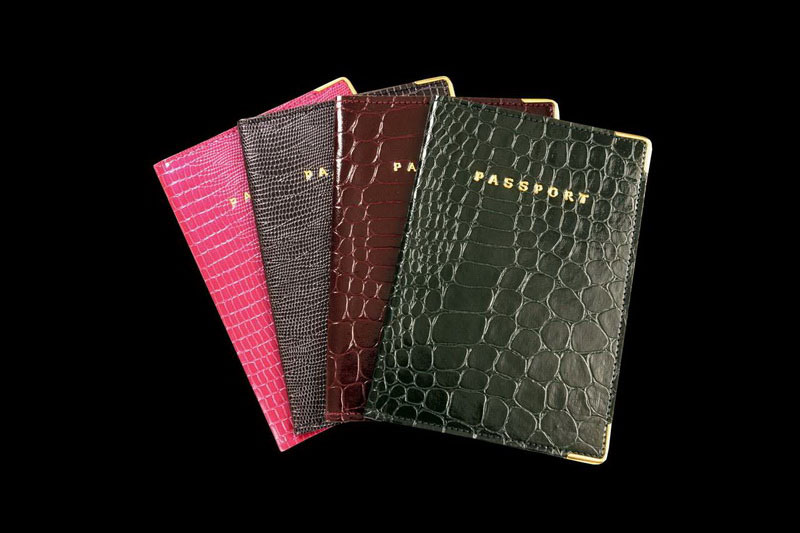 Passport cover alligator, crocodile, caiman, iguana, lizard and other exotic. 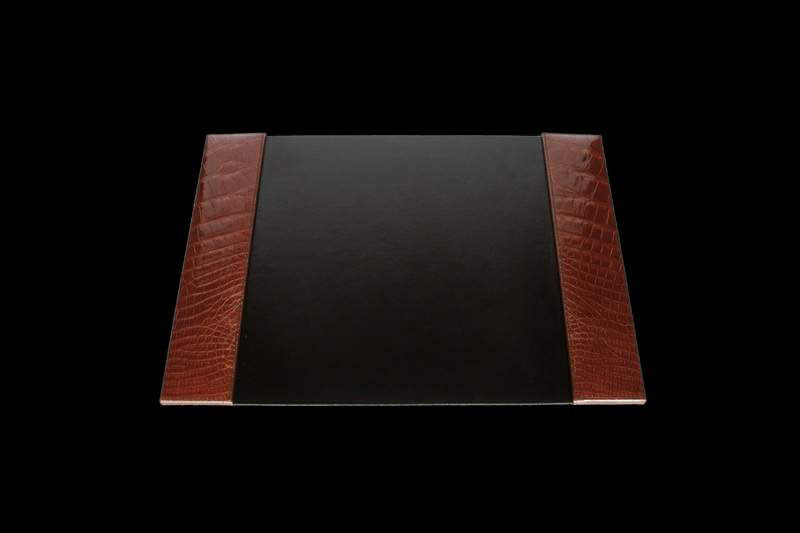 Luxury desk mat, or mouse pad made of genuine alligator leather in combination with classic leather and suede. In individual orders any carpets, rugs, made of genuine alligator, crocodile, caiman, and any other exotic colors. 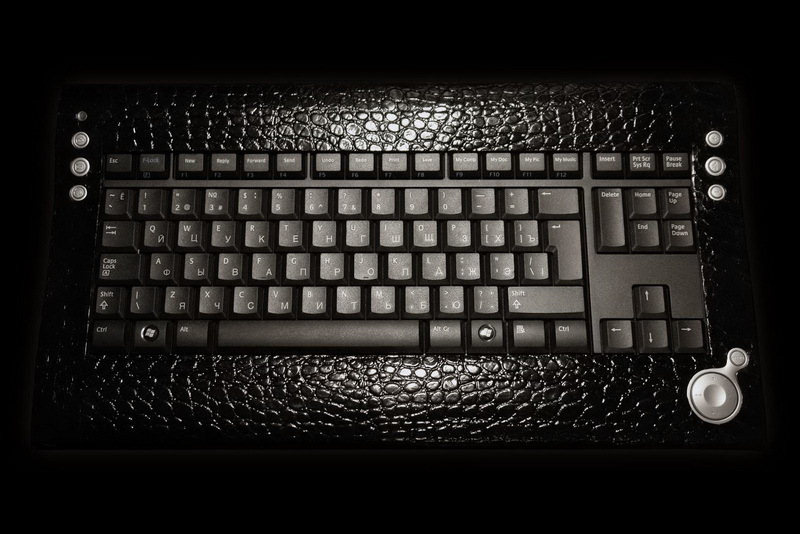 Exclusive keyboard in finishing leather alligator, crocodile, caiman, python, cobra, stingray and other exotic. 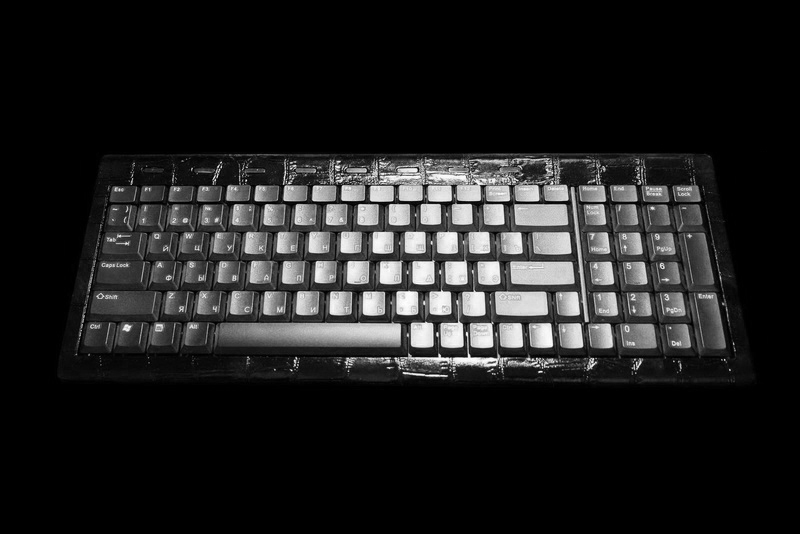 By tuning the individual orders of any keyboards and any other devices from exotic leathers of any color. This flash drive is released in 3 unique editions, each individual model. 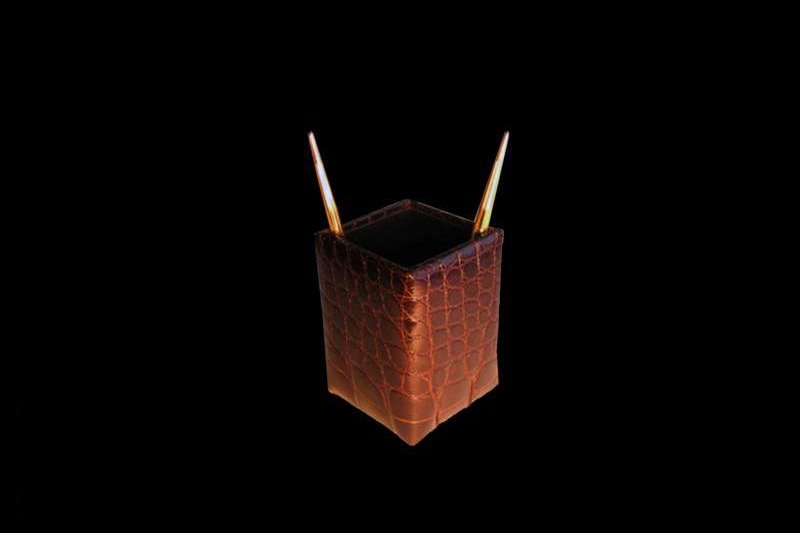 Flash stick alligator skin and gold 750ct, 777ct and 888-carat diamond identifier. 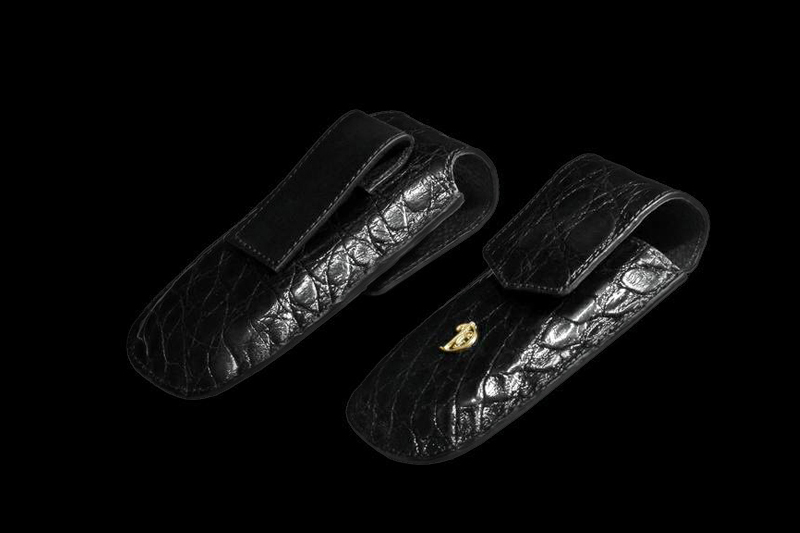 In individual orders any leather accessories alligator of any color. 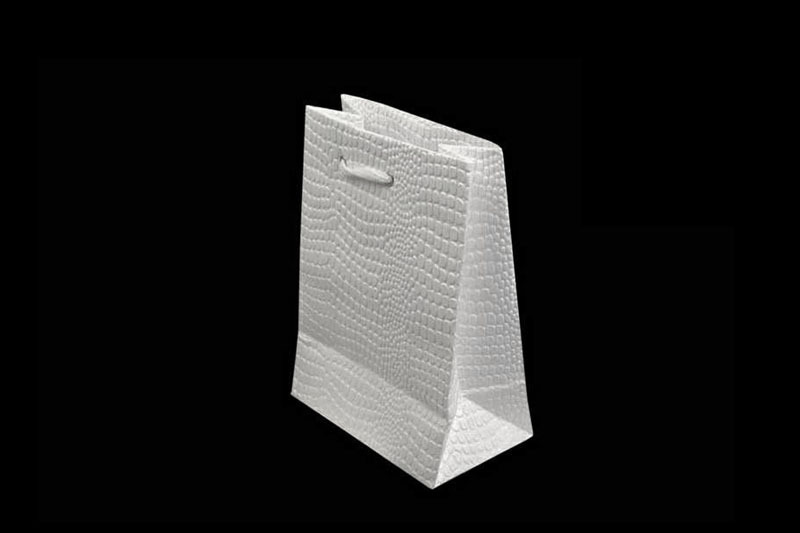 Exclusive gift bag alligator white. 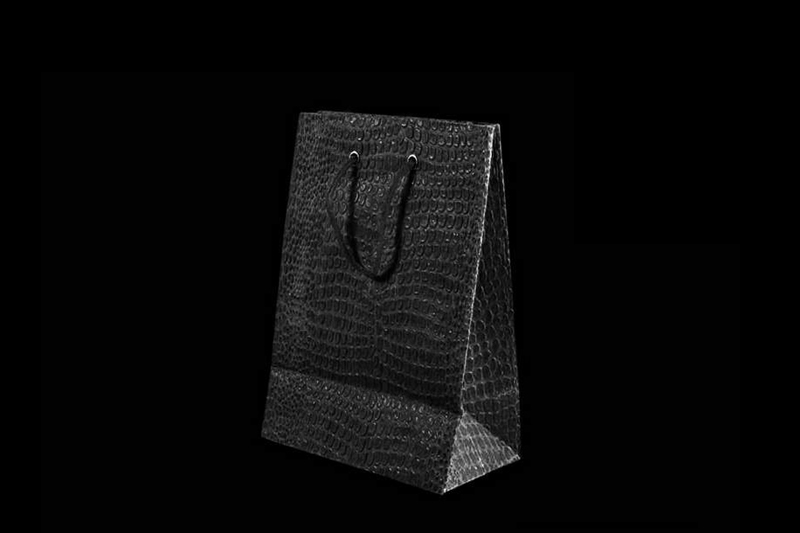 In individual orders exclusive gift bags alligator, crocodile and other exotic of all colors. Unique chair decorated leather alligator, crocodile and other exotic of all colors. 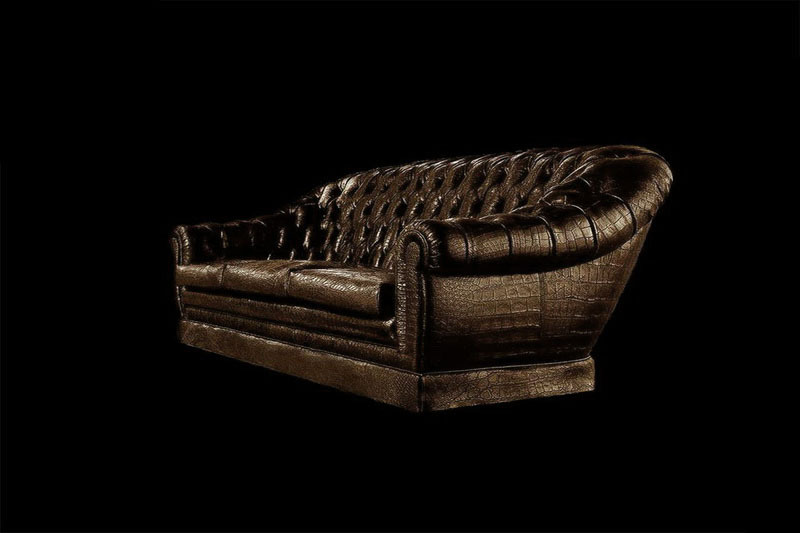 In individual orders chairs, sofas, tables, cabinets and any other exclusive furniture handmade luxury materials. 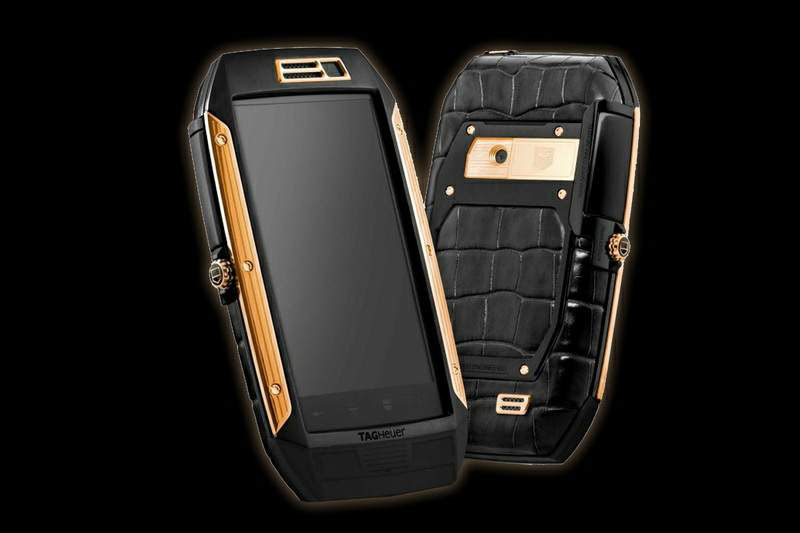 Smartphone Blackberry Porsche Design in the body of molten gold and the most expensive in the world alligator oris umskar. Housing and buttons and smart phones available from any species of precious metals - platinum, white, yellow, or red gold. 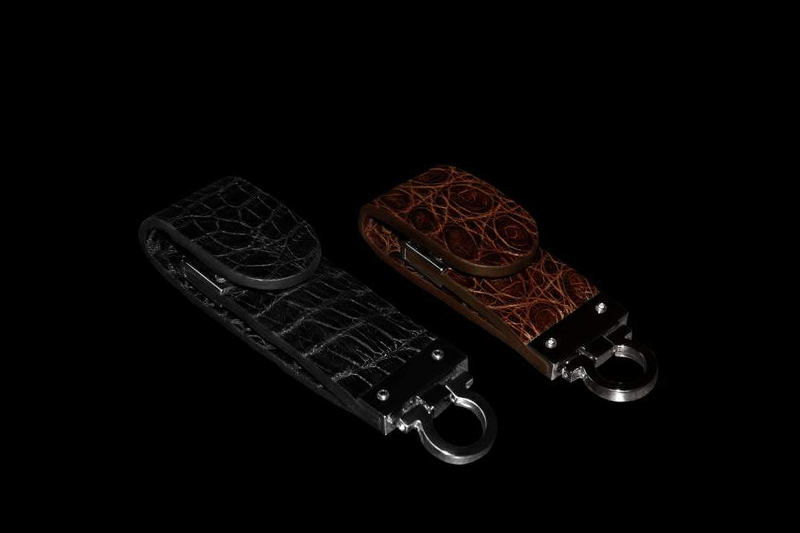 Elite cases with belt clips alligator and crocodile with individual personalization of gold. Any initials, monogram, family and state emblems, logos, marks and other symbols of the zodiac. 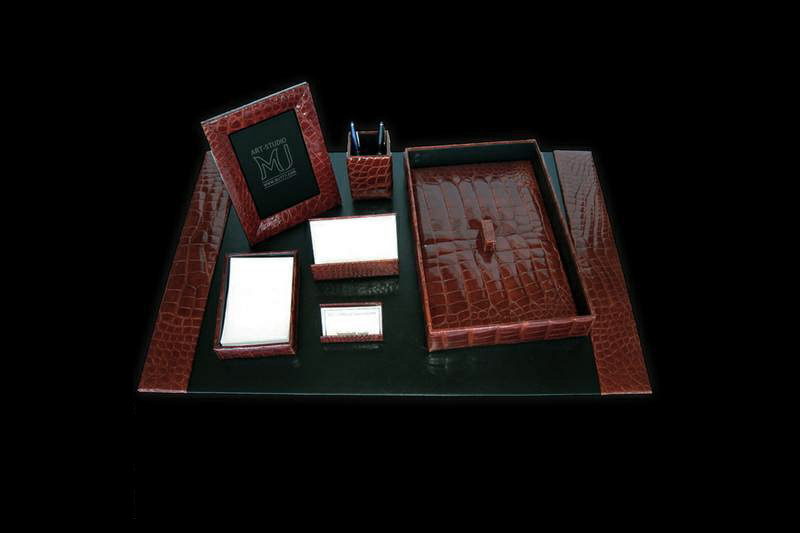 Exclusive photo frames alligator in any color or matt lacquer dressing .. 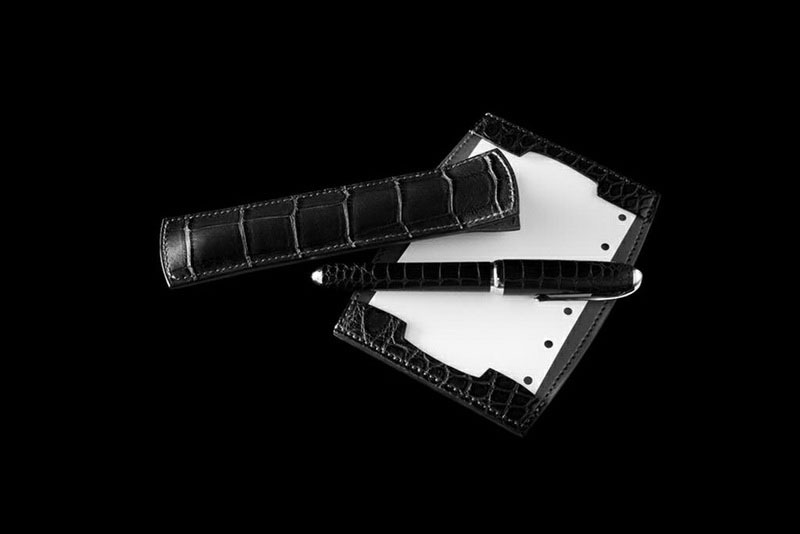 In individual orders folders, diaries, calendars, business card holders, and other leather accessories of all shapes and colors. Exclusive case and flash drive stick of gold and alligator. Cases for individual orders, flash and other accessories alligator and any other exotic colors. Covers and cases for glasses or any phone models and sizes. Only handmade luxury materials. 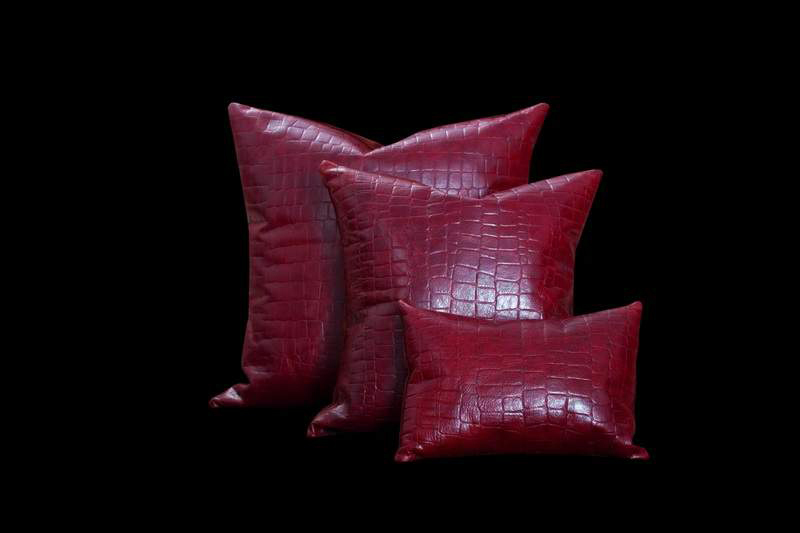 In individual orders decorative pillows alligator and other exotic colors all kinds of dressing. 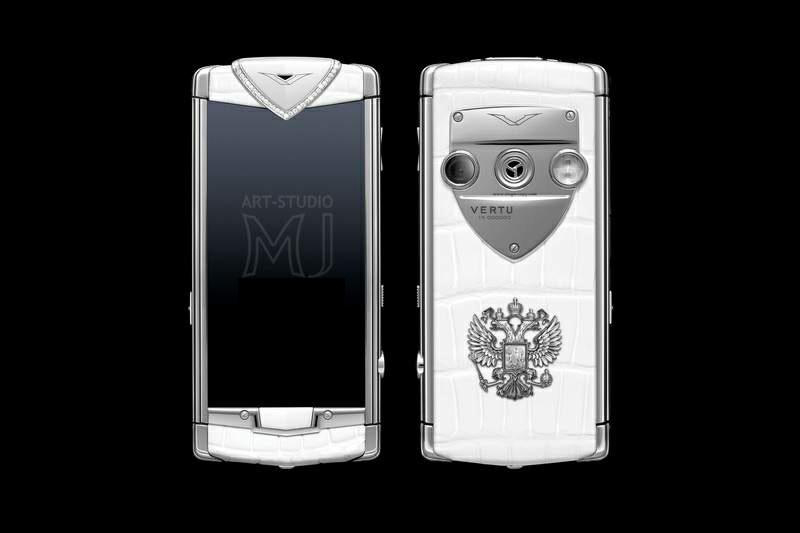 Exclusive Vertu phones with white skin alligator, diamonds and the arms of Russia and all other countries of platinum or gold. Only handmade jewelry work. Only natural and exotic leathers. Only the individual orders on tuning and tailoring covers. 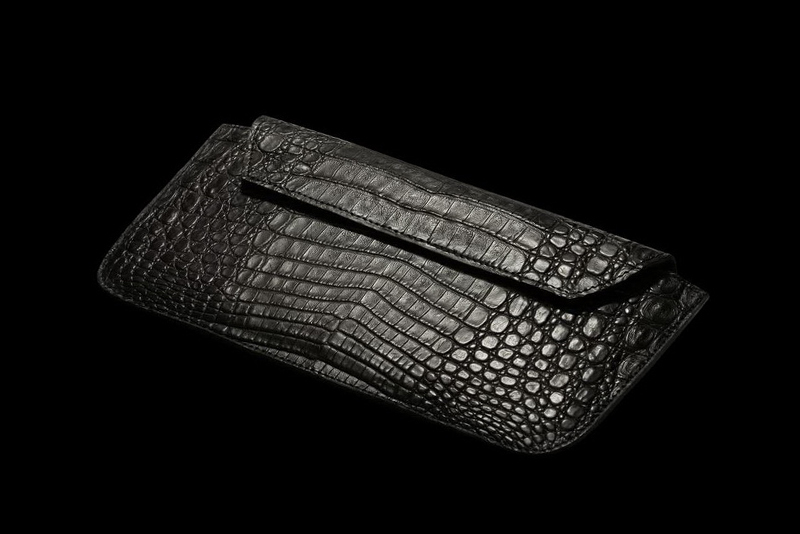 Case extremely tough and very durable leather of the alligator tail, the crocodile, caiman and other reptiles. In individual orders covers of all shapes and sizes for phones, smart phones, glasses and any other gadgets and accessories. 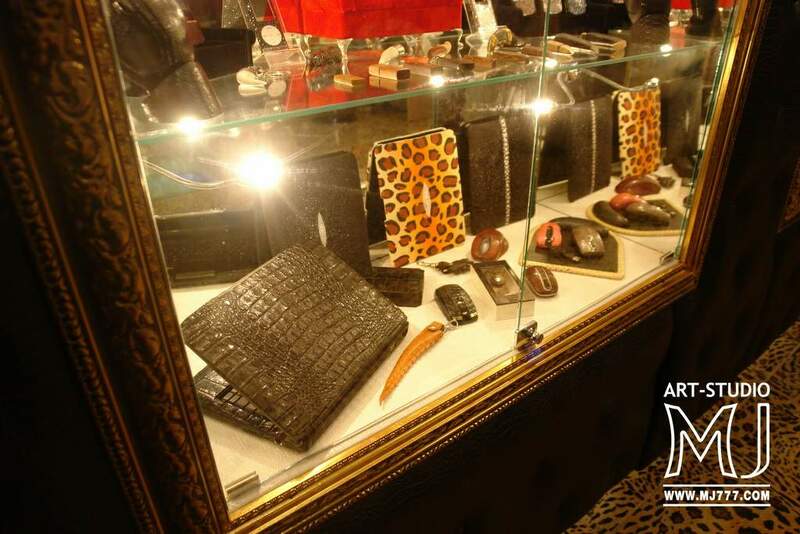 Exclusive set in black alligator skin - laptop, phone, mouse, flash drives, key chains and other accessories. Decorative items, buttons, rivets, logos and fittings made of platinum or gold inlaid with diamonds. According to individual parts and order the production of any number of alligator skin products and any other exotic colors. 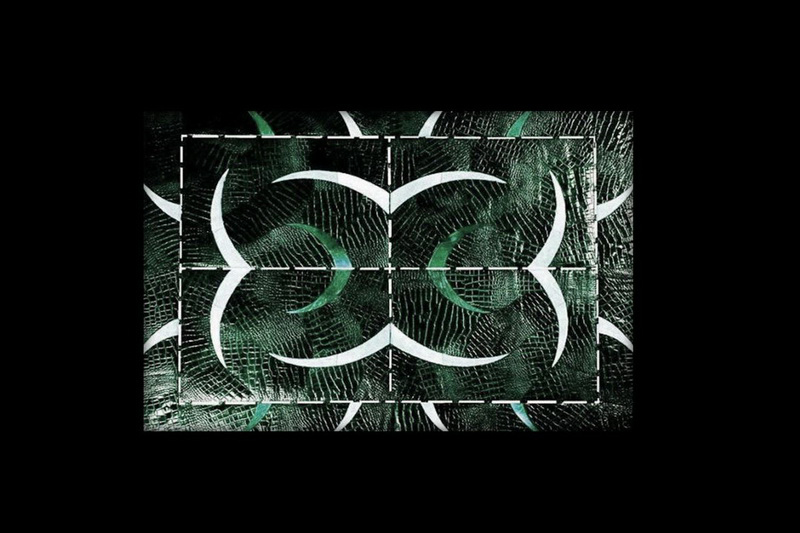 Exclusive tiles genuine alligator, crocodile, caiman, and any other exotic colors. In individual orders for interior panels of all shapes and sizes of genuine alligator or matt lacquer dressing. 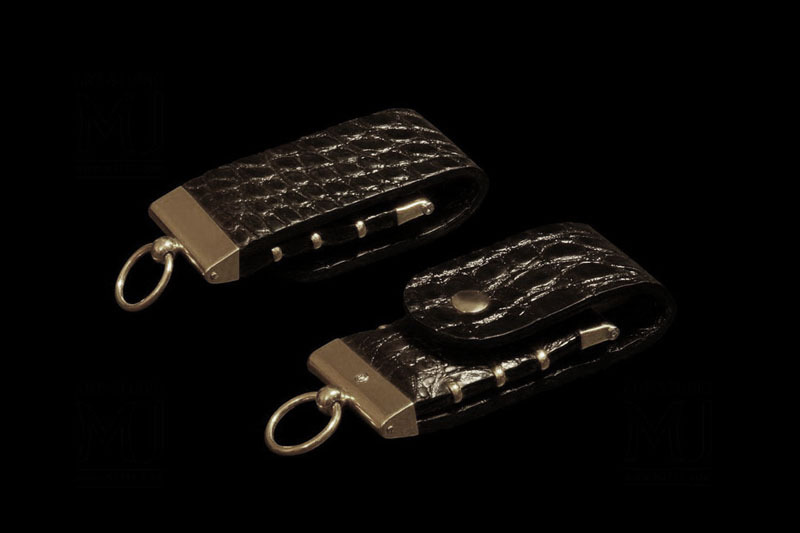 Elite keychain stick with inserts made of genuine alligator skin of any color. VIP charms and stick in housings of gold and silver with inlays of exotic leather handmade. Small stylish flash drives in a series of mini exotic inlaid with precious stones with a unique facet. 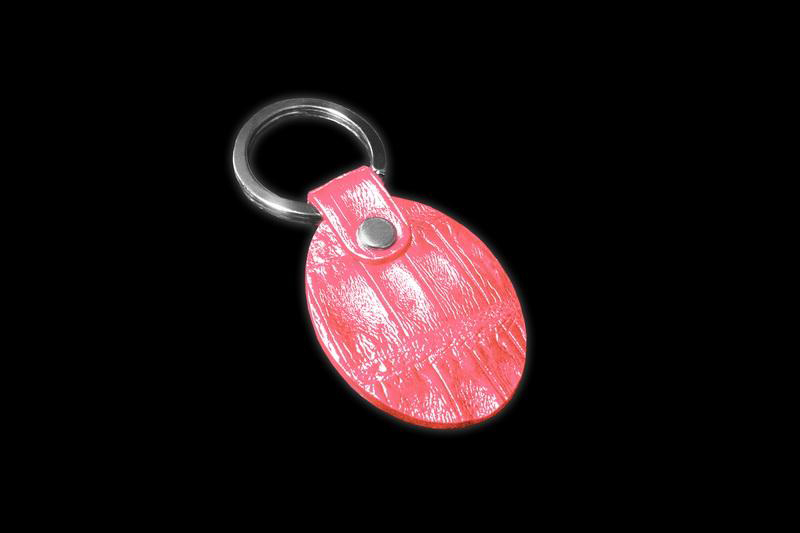 Exclusive Keychain pink alligator platinum and gold. In individual orders leather keychains all shapes and sizes. All types of colors and exotic skins. Luxurious sofas, armchairs, chairs, tables, cabinets, cupboards and any other luxury furniture decoration exotic skin of any color. The case for billiard cue from the green alligator handmade. In individual cases and orders covers sports equipment, weapons, musical instruments and other products. Exclusive 2, 3 and 4 knee cues from fine wood inlaid with gold and diamonds unique cut. 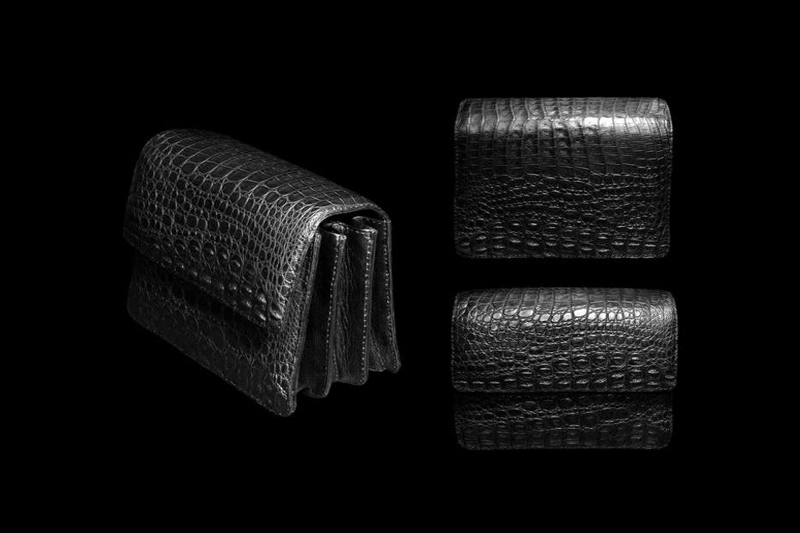 VIP enclosures for all products of non-standard forms of genuine alligator, crocodile, suede and furniture made of pure platinum. 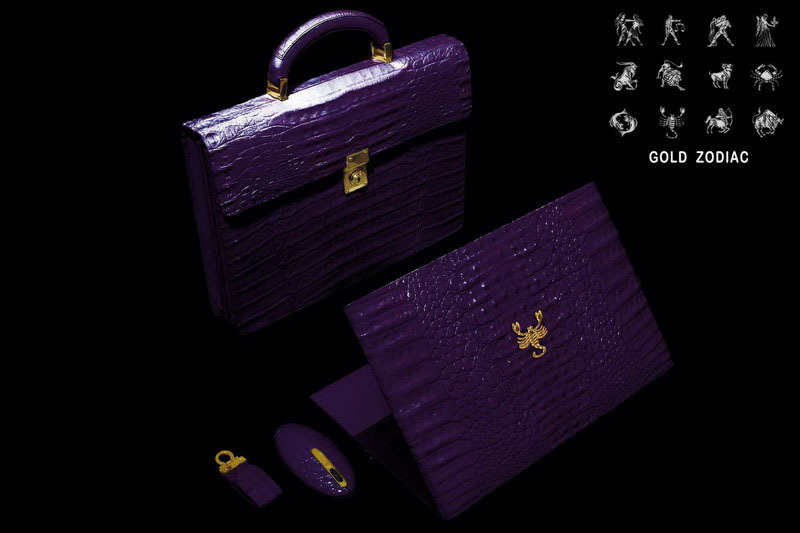 Luxury case for shotgun and rifle alligator. 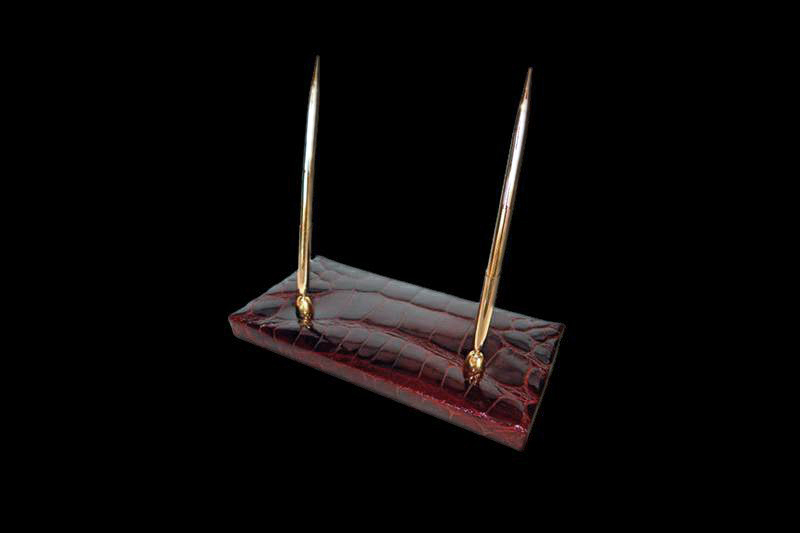 Case for billiard cue alligator. VIP Case for club or tennis racquet alligator. 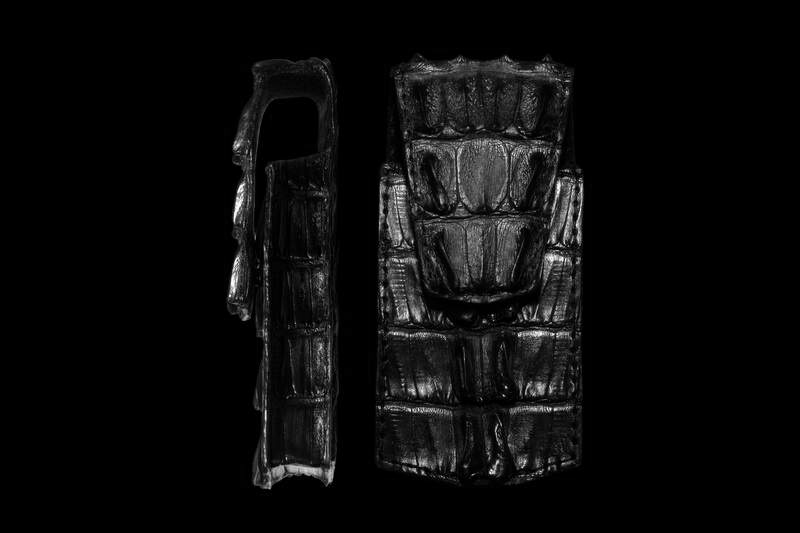 Violin case and tube alligator. 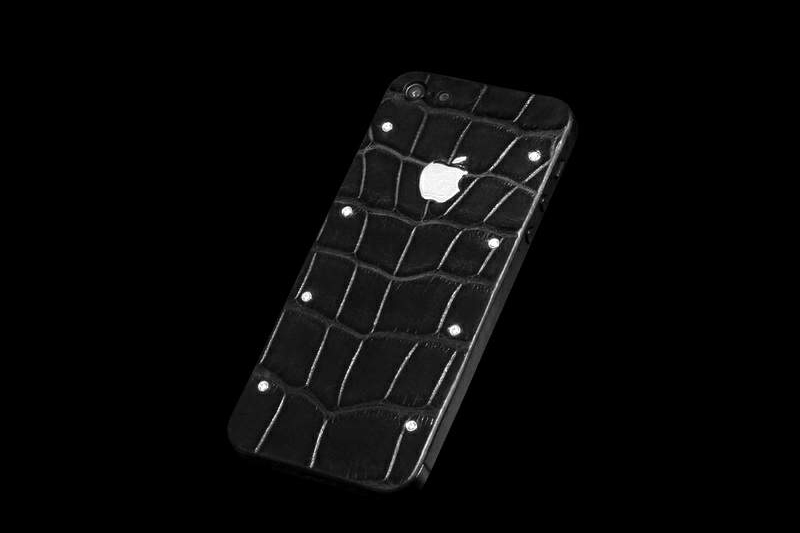 Author design Apple iPhone model in the skin alligator bolted from platinum and diamonds. In individual orders any color alligator with all types and colors of precious metals and stones. 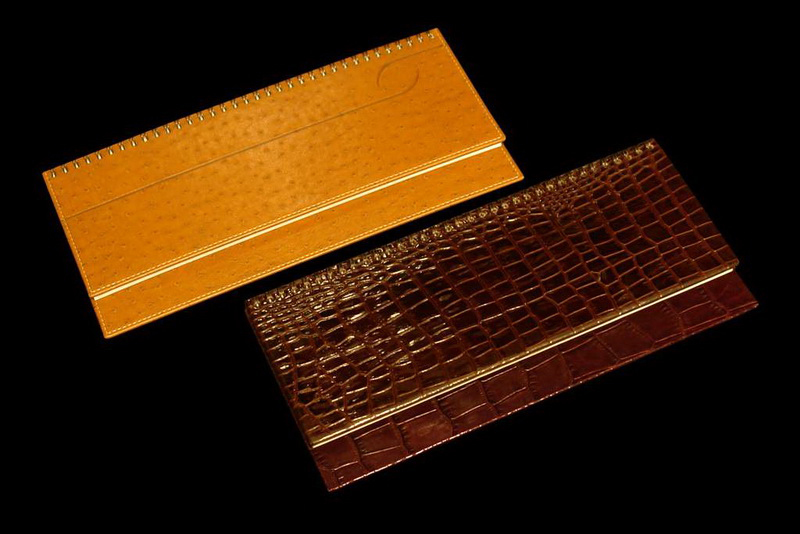 Luxury desk and office supplies in natural leather alligator. Unique keychain pendant foot alligator. 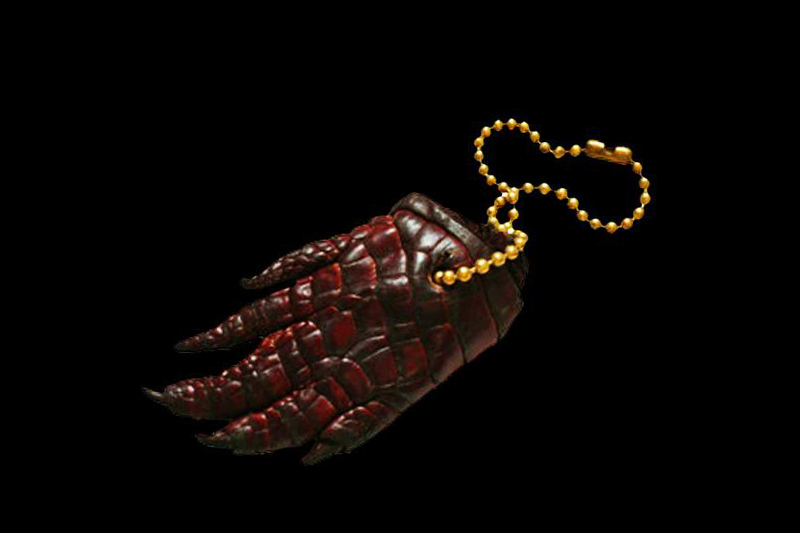 Leather and alligator claws. Exclusive key chain with pocket and a gold chain. In individual orders any color skin and drag. metals. Luxury pad Case for iPad alligator, crocodile, caiman and other reptiles of any color. 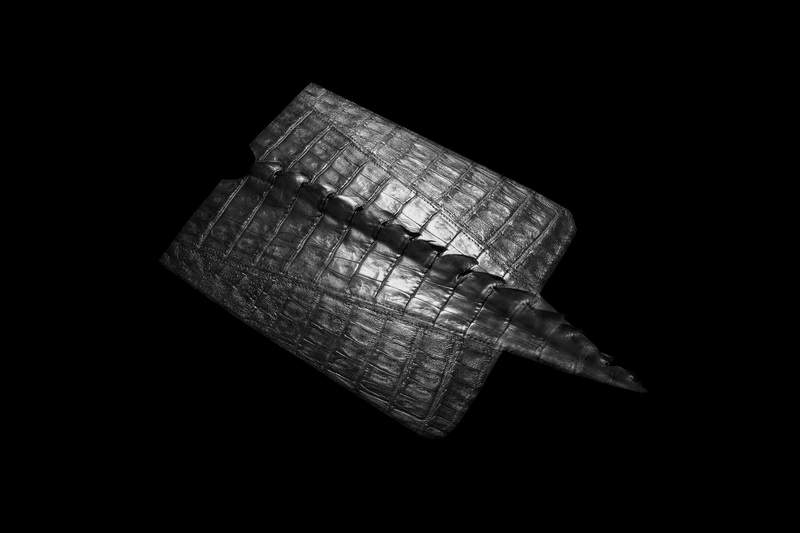 In individual orders for covers made any accessories from the same type of skin in the same style. Cover complete with key ring, wallet, purse, belt, card holders, bags, gloves, footwear, memory stick, mouse, etc. In individual orders tuning tablets exotic skin with emblems of gold, platinum and diamonds. Exclusive gift head gold pens to sign with stand alligator. In individual orders all kinds of colors and exotic skins and any kinds of precious metals. VIP set of techniques for the elite. 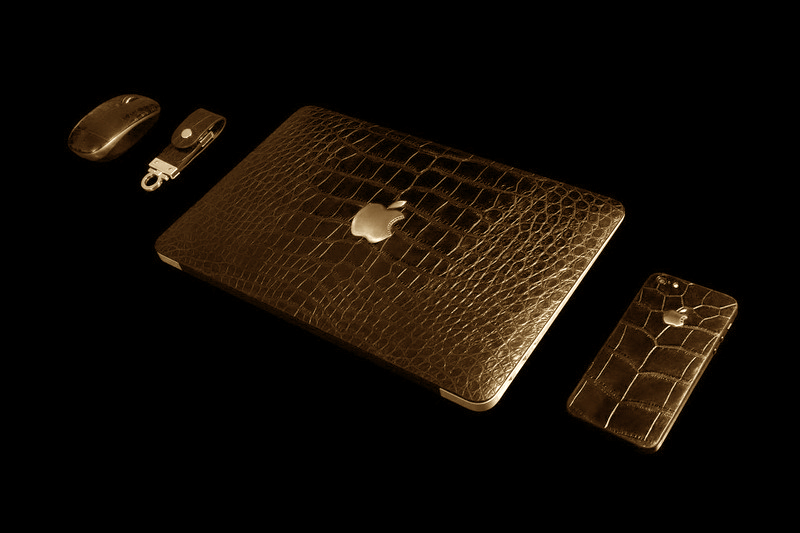 Laptop, flash drive, mouse and phone numbers in the skin of an alligator and white gold 777k. 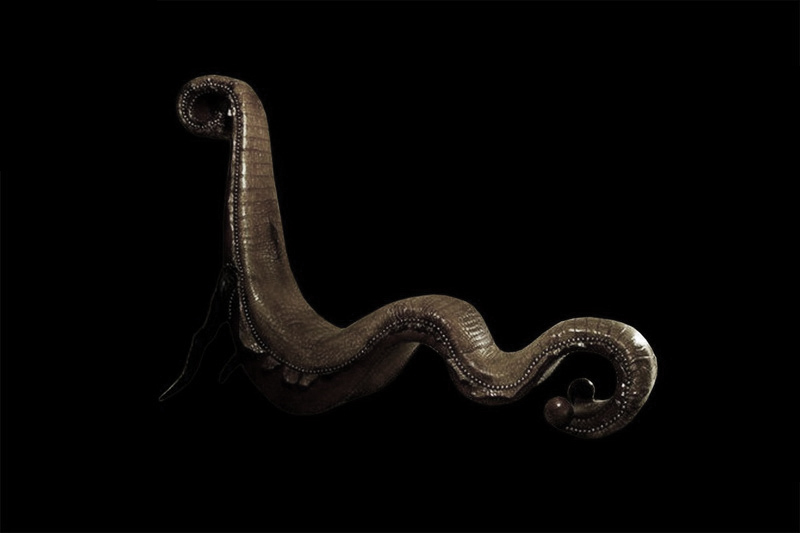 Exclusive covers alligator, crocodile, caiman, gharial and other types of alligator and crocodile. 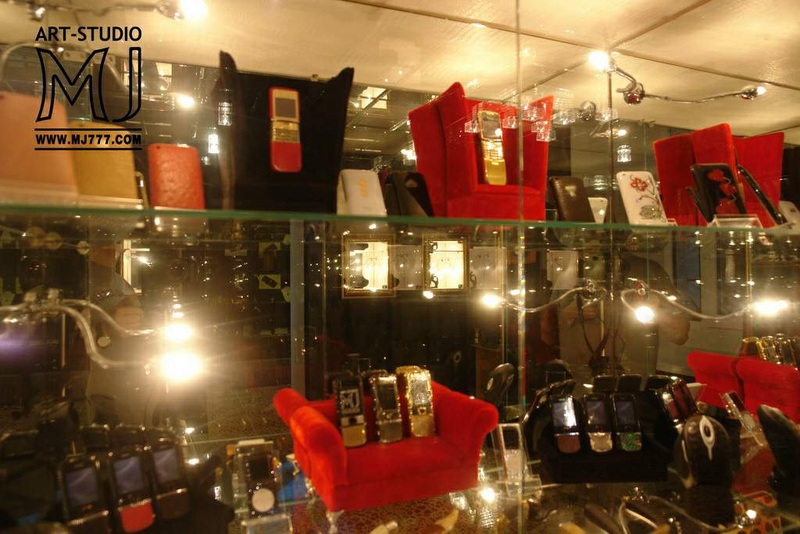 In individual orders covers all phones and gadgets from exotic leather of all colors and shades. 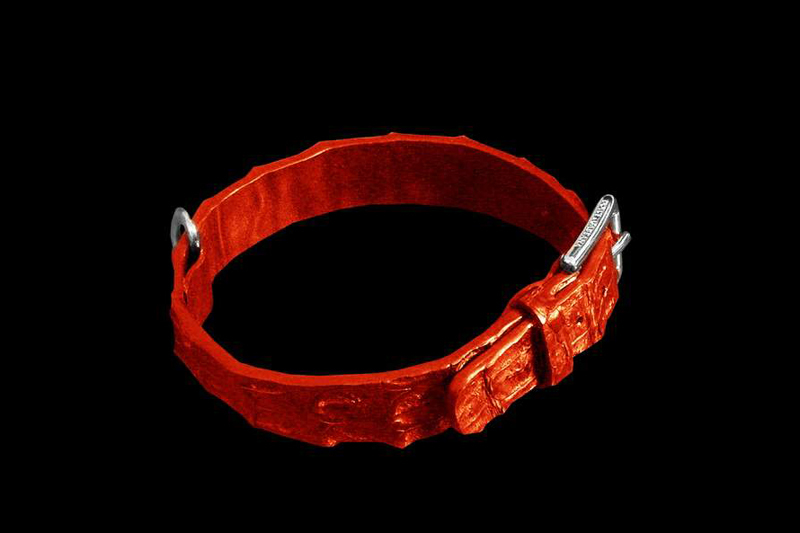 Unique collars for fans of extravagant fashion, as well as for lovers of pets. dog and cat collars. In individual orders collars of all shapes and sizes of exotic leathers of any color. Personalization collars application addresses, names, nicknames, telephone, and any information. 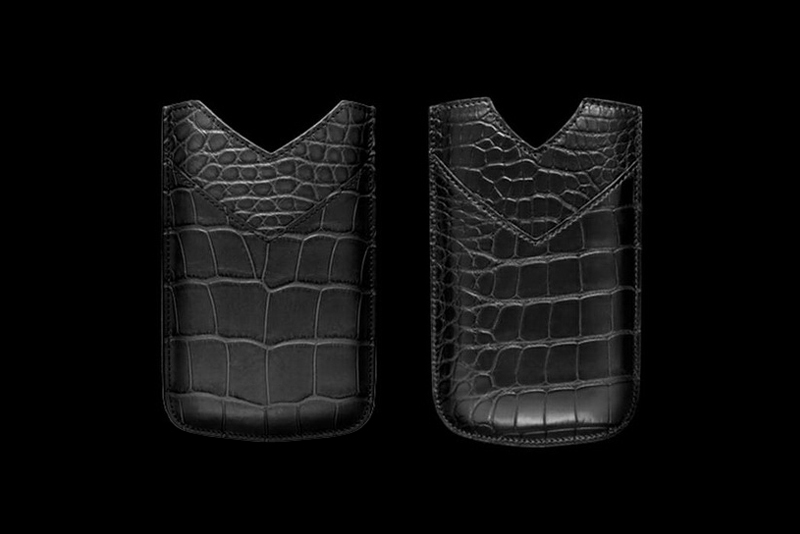 Exclusive hand-made covers for all phones, smartphones, tablets and other devices alligator. 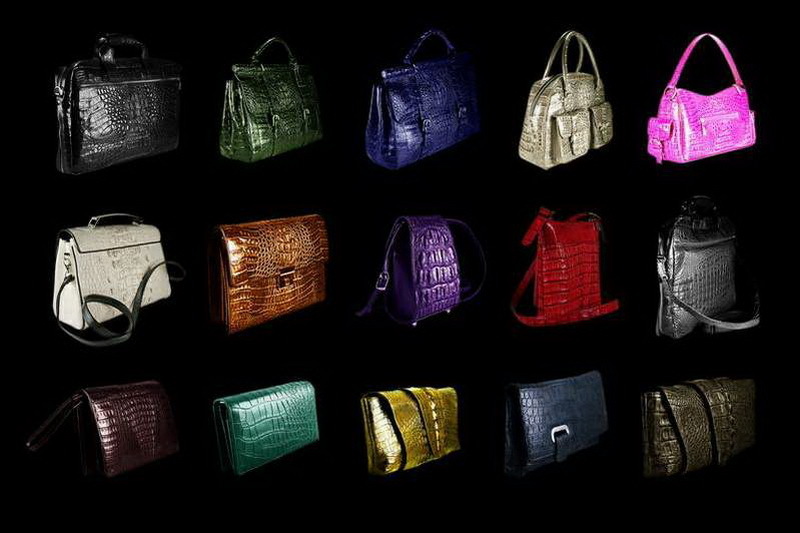 VIP bags produced from genuine classic and exotic alligator, crocodile, python, stingray, shark, buffalo, elephant and others. In individual orders inlaid decorative elements, logos, emblems, logos and monograms of silver or gold. Calculator finish alligator leather with gold buttons and a diamond identifiers. 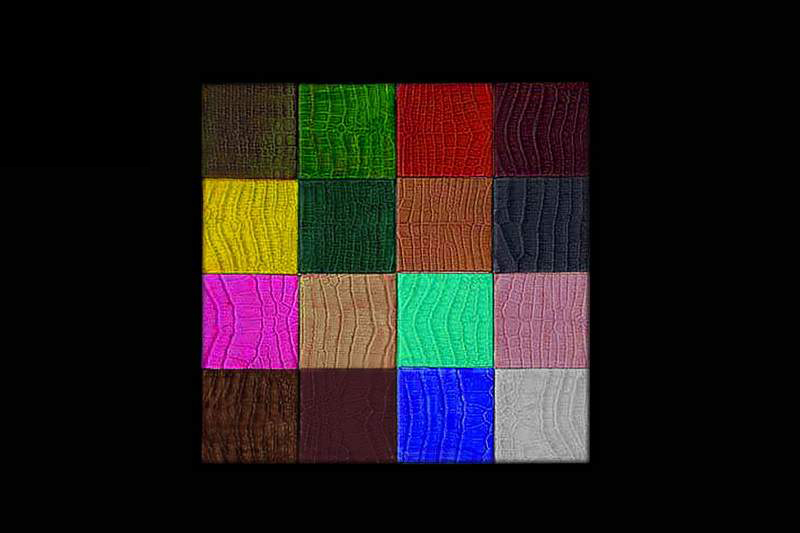 In individual orders exclusive gifts - luxury calculators in the skin of any color. Buttons and decorative elements made of any materials from the classics to precious metals. initials, monograms, emblems, logos, signs of the zodiac and other symbols of precious metals and stones. Exclusive flash drive from the elite alligator Oris inlaid with white and black diamonds. In individual orders stick keyrings alligator and other exotic of all colors. In individual orders notebook bags alligator and other exotic colors and all kinds of dressing. In individual orders for all models seat bicycles, scooters and bikes leather, fur, gold. metals and stones. Exclusive carpet alligator all shapes, sizes and colors. In individual orders carpets, rugs, carpets, blankets, bedspreads, curtains made from exotic leathers. In individual orders of any tuning devices exotic skin of any color and any kinds of precious metals. See also the catalog of exclusive personalization of laptops, mice, flash drives, iPhones and other accessories. 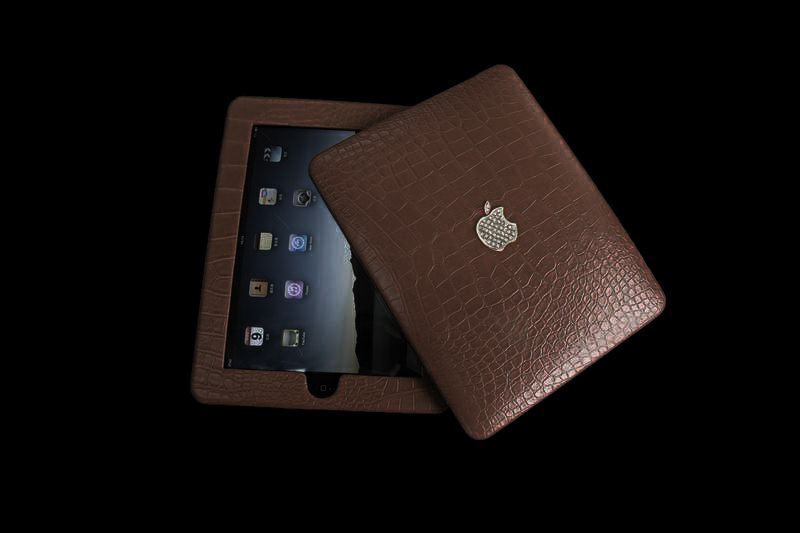 Exotic Case Cover for Apple iPad tablet leather alligator tail. Unique packages alligator and other exotic gold and silver eyelets. According to individual orders and premium gift bags handbags made of genuine leather any color. 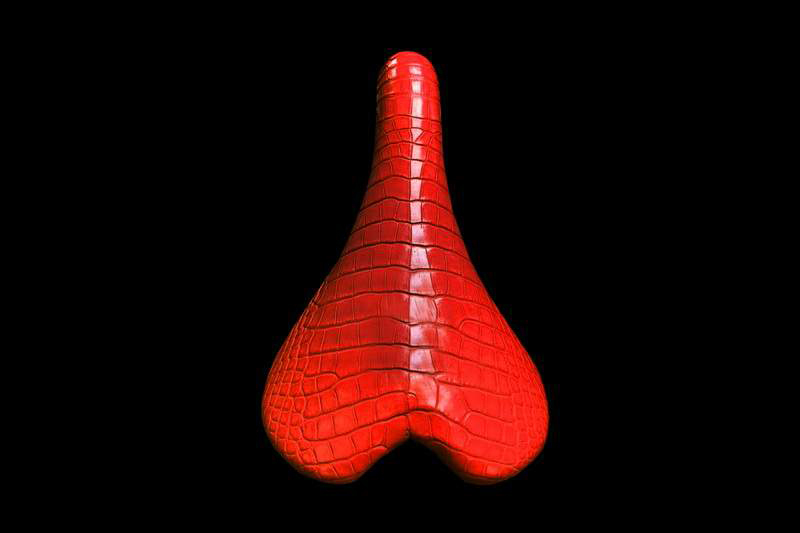 In individual orders exclusive balls and any other leather alligator and other exotic of all colors. 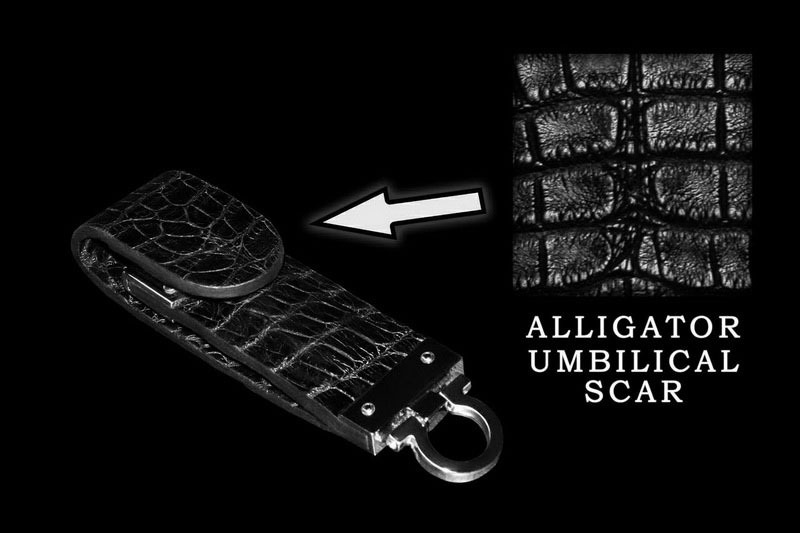 Exclusive flash drive stick in the skin of an alligator with a unique pattern inherent only real alligators. 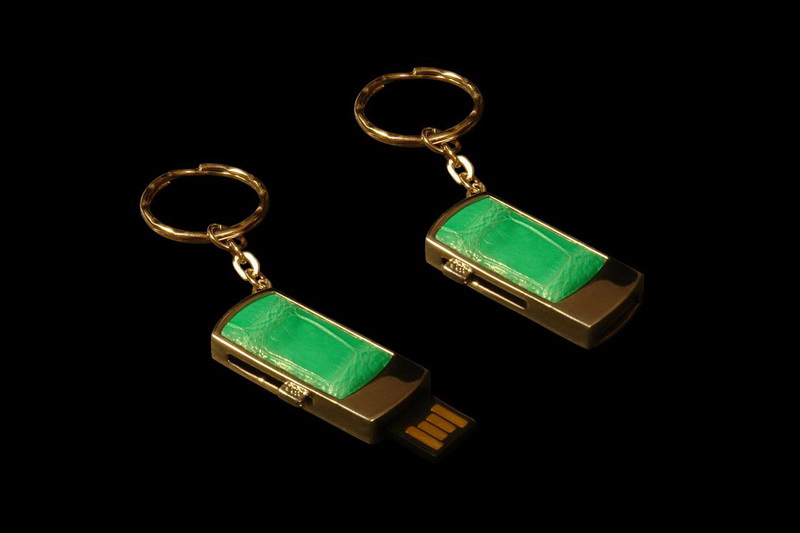 In individual orders flash drives in alligator skin of any color with accessories made of platinum, gold and diamonds. 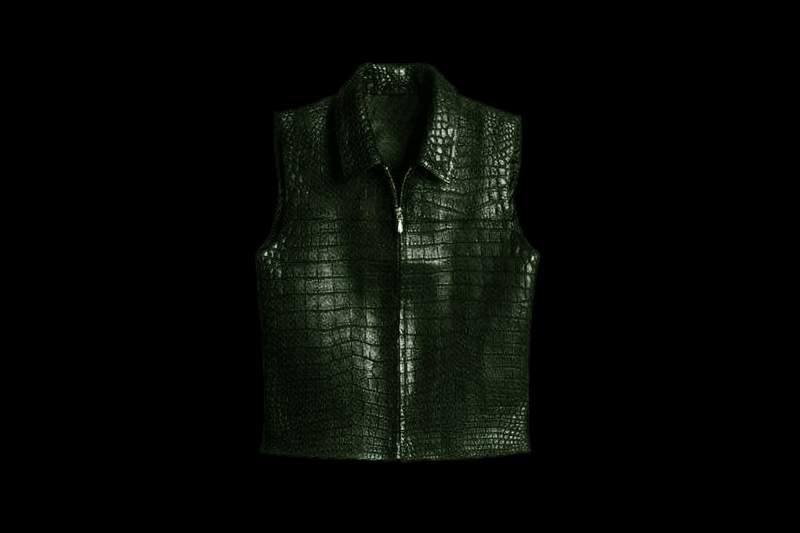 Vest alligator Green or any other colors. In individual orders jackets, suits, jackets, pants and any other clothing alligator of any color. 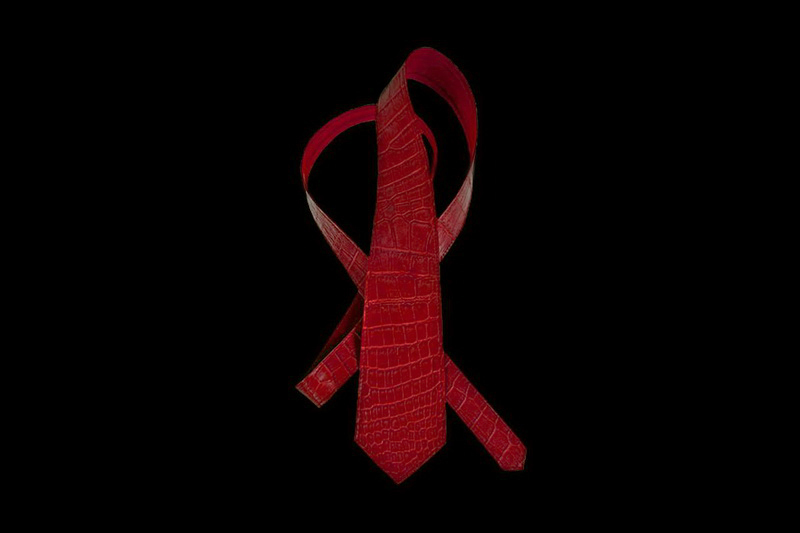 In individual orders exclusive leather ties handmade from any species of exotic and natural colors. 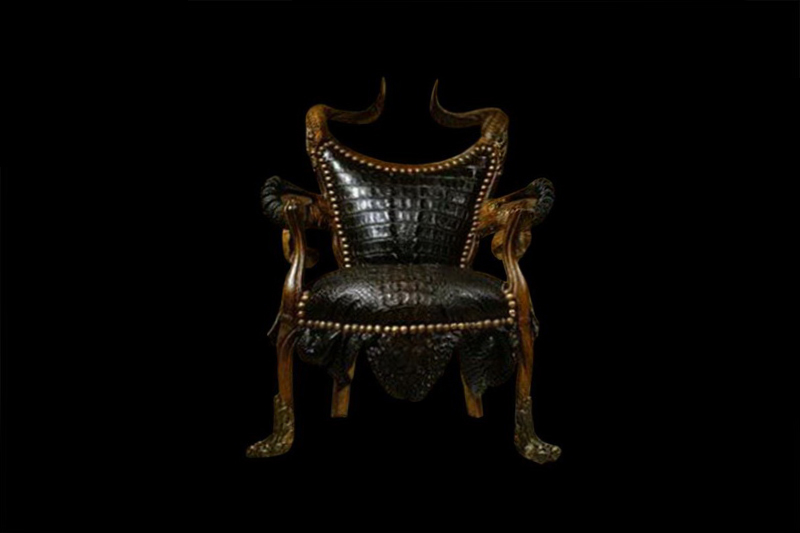 Exclusive furniture alligator, crocodile, caiman and other exotics. In individual orders chairs, sofas, beds, beds, chairs, tables, cabinets, cupboards and decor alligator of any color. 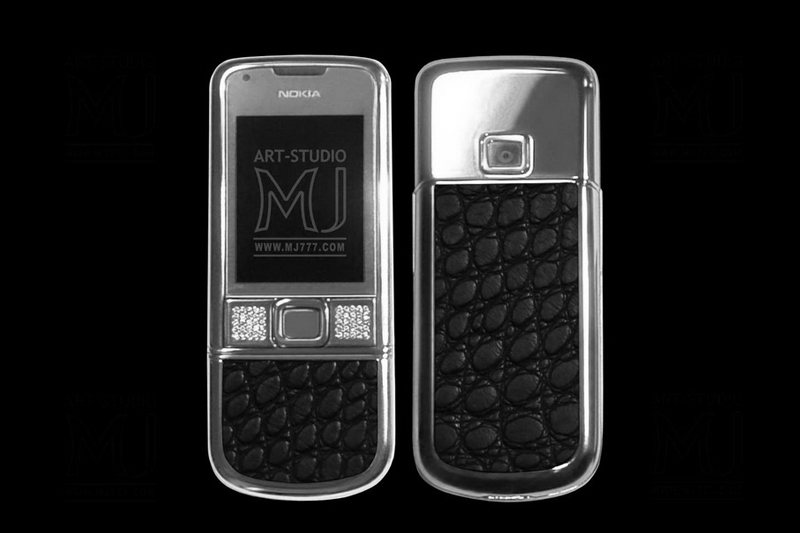 Unique Nokia 8800 Arte phone with inlays of black alligator in the case of platinum and gold buttons in diamonds. For tuning the applied side of the phone alligator with small round cells. Only handmade jewelers and leather workers. 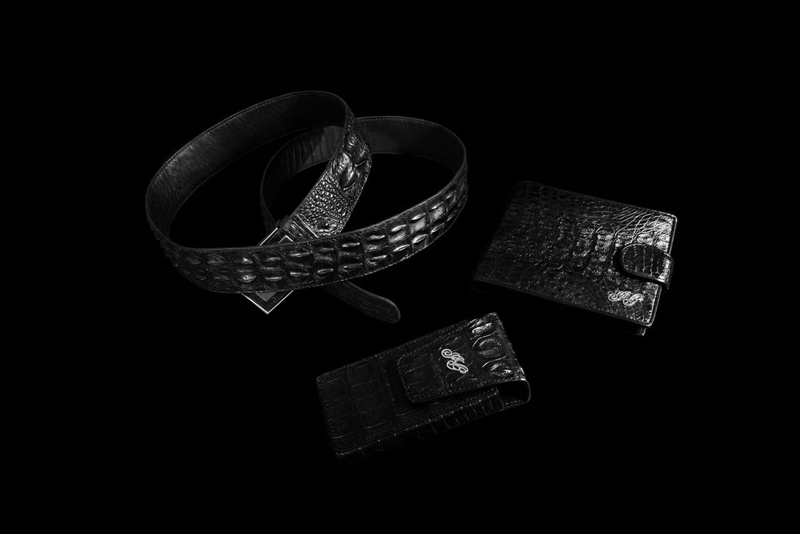 Belt, Case phone, wallet and other luxury sets of alligator, crocodile, caiman and other exotics. Making copyright sets of belts, wallets and cases for mobile phones and other accessories with the personalization of precious metals. The set may consist of any number of any leather accessories made in the same style of the same material. On any product can be inlaid initials, monogram, emblem, emblem or any other sign of gold or platinum. Natural American alligator skins, all types of manufacturing, semi-matte, lacquer, glossy and others.